Moneywort is a plant species from the Bacopa family well known among herbalists as “Brahmi” due to its healing properties. In ponds, this plant can be plated fully submerged or partially submerged as it will root well in the soil and rise above the water surface. 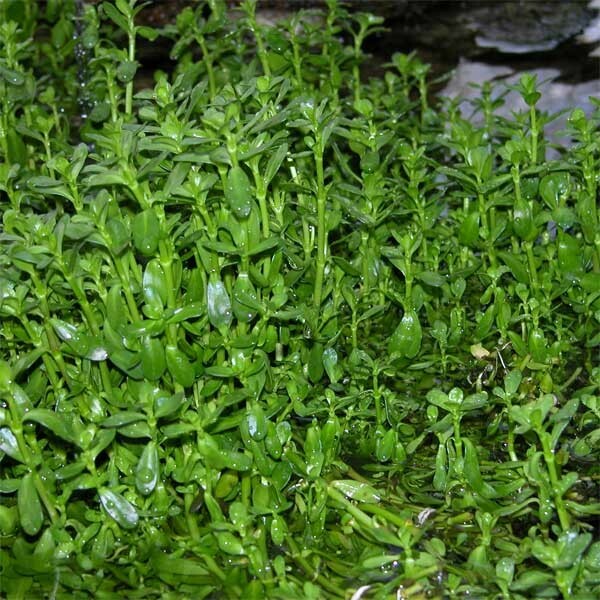 It’s leaves are green and have a drop like shape and will have scented flowers when it rises above water. This plant is best suited for shallow water, so they work best around the edge of the pond. In addition, they help oxygenate ponds.